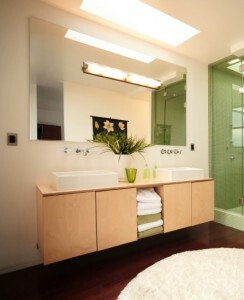 As glass specialists Valiant Glass are experts in the supply and installation of bathroom mirrors. A majority of our mirror installations are frameless designs, which blend into the bathroom to create a feeling of space. All mirrors are manufactured in our purpose built glass factory to ensure the highest quality while offering fast turn around times. Each mirror is installed by our team of highly trained professional glaziers and complies with current Australian Standards. Mirrors can be custom made to suit a wide variety of applications in domestic or commercial properties. Valiant mirrors are available in circles, oval, square and rectangular shapes and can be manufactured in small or large sizes depending on your requirements. For further information relating to mirror installation browse through our website or call your local Valiant office. All mirror installations are covered by our 12 month workmanship warranty.